Cute upper level 2 bedroom condo overlooking community pool. 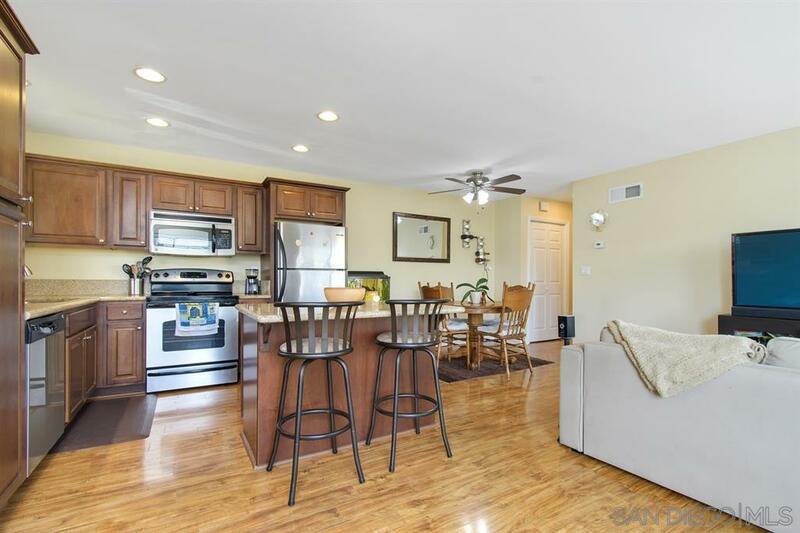 Remodeled floor plan with open kitchen, living & dining area. Upgraded kitchen & bath w/granite counters. 1 parking spot in shared garage, along with 1 parking space in driveway, and ample street parking. Unit features AC, very rare for this complex. Tons of street parking. Community laundry. Plenty of shopping, restaurants & entertainment nearby. I-15 Freeway - just a few minutes away. Desirable Poway Unified School District.